Your Allied Rapid Response (YARR) is a community organization that has been advocating for immigration justice since late 2016, but its work has become more urgent than ever in recent months. After the federal government assumed a strong anti-undocumented immigration stance this past year, U.S. Immigration and Customs Enforcement’s (ICE) activity significantly increased in Northern California. In ICE’s most recent raid in Northern California, over 150 undocumented immigrants were arrested under suspicion of violating immigration policy. Two were detained by ICE in Capitola near 41st Street on March 7. YARR offers a number of protective services to respond to ICE’s strategic raids, including a rapid response hotline for reporting ICE activity and legal observation trainings. City on a Hill Press interviewed a YARR organizer on April 3, where they elaborate on its services and discuss what students can do within the presence of ICE. The organizer requested to remain anonymous to protect their identity from ICE. City on a Hill Press: To what extent has YARR been successful at securing safety measures against ICE? 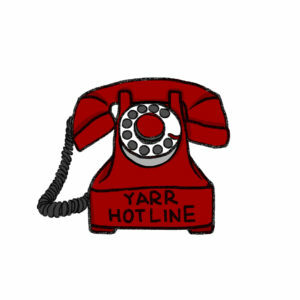 YARR member: The way that most people use YARR is that it has the number that’s on the red cards [a legal-help card] to call in case they see ICE. If there’s an ICE sighting, people will call that number and then we send people to verify. 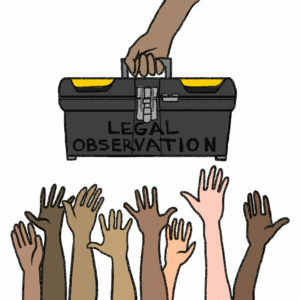 Then we have a list of people who have been trained in legal observation who can go out and observe — that’s really important because if somebody is taken into custody, there are then ways a deportation lawyer can use information about how the arrest happened and what went down to potentially stop the deportation. CHP: What can students do if ICE were to show up? If ICE were on campus, what can undocumented students do to protect themselves? YARR member: Nobody should speak to ICE and everybody should not open a door. What members can do if they’re undocumented is say that they can remain silent. Nobody has to talk to any ICE agent — anybody can say “I don’t wish to speak to you” or “I have Fifth Amendment rights under the Constitution.” I would say that on the UCSC campus, it’s important that everybody knows the protocols — not only the undocumented students— because it’s probably not undocumented students who are going to put themselves at risk, but it’s other people who don’t know the protocol. If ICE is on campus, there are places that are considered private and places that are considered public. ICE needs a warrant to enter any private space and those spaces are dorms and apartments on campus. But also classrooms that are in session are considered private as are any offices, so faculty offices or staff offices. 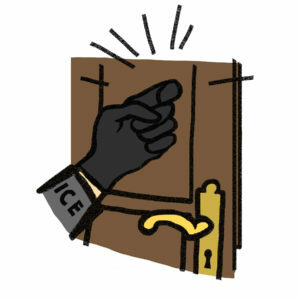 The door should be not open and the person should ask anybody who’s saying that they’re an ICE officer or a police person for that matter — for their name, identification number and their agency affiliation. And then they should ask for their warrant. And if there is no warrant, there is no entry. Period. If the person does produce a warrant, then if somebody is on UCSC campus, what they need to do is contact campus counsel and that number is 831-459-1848. All of that slows things down, but the reason to do that is because ICE has been writing these things called administrative warrants and they don’t hold any legal grounding. CHP: Let’s say that ICE successfully arrests or detains an individual, What options do people have after the fact and what can they do to ensure that the person is safe? YARR member: So if it’s a campus person, then anybody who is unauthorized or has any family members who are unauthorized with mixed status, they all have access to UC legal counsel. And so they can make an appointment by contacting the undocumented student services coordinator through EOP and somebody was detained who is a UCSC student they would have immediate access to that immigration lawyer. So that’s a service provided by UC Davis that extends to our campus. And there’s no charge. Editors Note: While there are no guarantees that ICE will not target campuses, an internal memo presented by the Obama Administration (and upheld in 2017) indicated to ICE that surveillance should not focus on “sensitive” locations such as schools, universities, hospitals and places of worship. Students or community members who are interested in signing up for YARR’s email list can email rapidresponsesc@riseup.com. You can additionally schedule a legal observation on campus by reaching out to the same email.